As schools are starting to be back in session, it’s an important time to review driving safely in these areas. 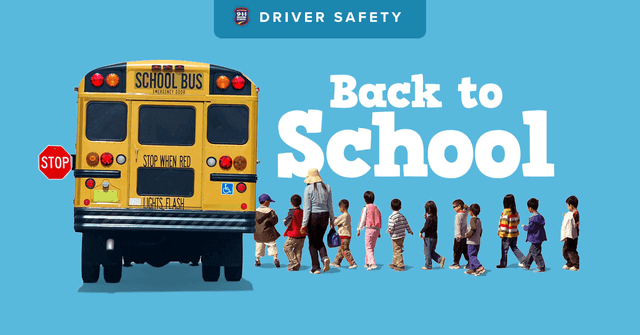 During the school year, there are three major points of safety that every driver should remember. The first is what the laws of crosswalks are, the second is paying attention to school zones, and the third is how to drive when a school bus is present. Crosswalks aren’t exclusive to schools, but there are more of them around a school. It is common for students to walk to school and have crossing guards to help them. If you are approaching an intersection, the crossing guard is the traffic authority. They have been trained to help students cross safely and manage the flow of traffic at the same time. Drive slowly and pay attention to their movements. If they have a stop sign held up, you are required to stop. Do not proceed through the intersection until they had indicated it is safe by putting their sign down or waving you through. Not all crosswalks have a crossing guard. If you see students waiting to cross or stepping into the road, you must stop. Let them cross and leave enough room that other drivers can see them too. Do not drive through the crosswalk until they have safely passed out of all the lanes going your direction. Be extra vigilant at intersections where you are turning and have a walking signal. If you aren’t always watching and paying attention to pedestrians, you could cause a serious injury. When school zone signs have flashing lights, slow down. This is an important law because it helps prevent serious problems. High numbers of students are going to school or heading home when these lights are flashing. Young students are a bigger risk because they can step out on the road while not paying attention or chasing after something and not looking for cars. Driving at a reduced speed helps you to stop the car quickly. Another thing to remember about school zones is that there are going to be a lot of extra cars and buses in the area transporting students. When there is heavy traffic, visibility can be lowered. Cars are also likely to pull in front of you, requiring a quick stop. Even when the sign indicates the end of a school zone, continue to be on high alert. The first rule of driving when a school bus is present is to watch for stops. If a school bus stops with flashing lights and an extended stop sign, you are required to stop. Do not ever try to go around a school bus in this situation. First, because it’s illegal and second because there are students running to or getting off the bus and heading in all directions. Since drivers are required to stop, these students are not looking for oncoming traffic. You won’t be able to see everything a bus driver can so be sure to be patient. Teen drivers have a lot stacked against them when they first get their licenses. If you were to poll adult drivers, most would probably say the biggest reason for teen car crashes is cellphones. While they are a cause for concern for all drivers, teen drivers are dealing with a bigger problem that isn’t an electronic device; peer passengers. In the June 2015 issue of the Journal of Adolescent Health, a study on the role of passengers in teen drivers and serious crashes. 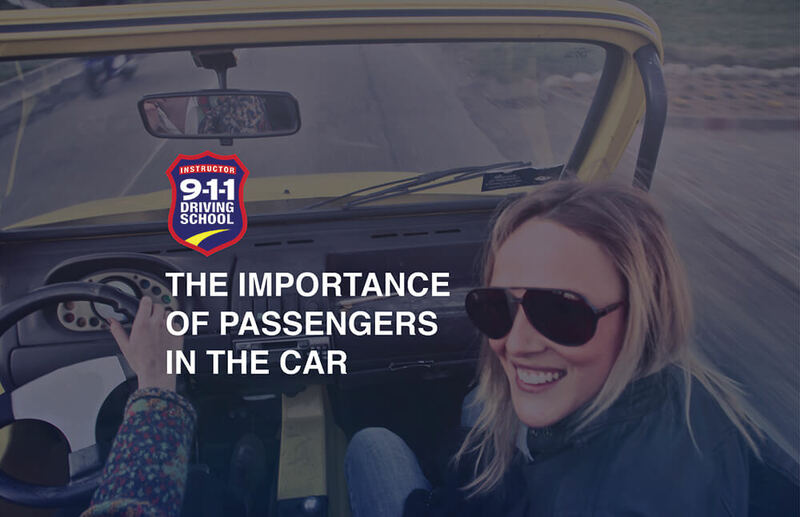 The CDC confirmed their findings that teens driving with teen passengers increased the crash risk when left unsupervised. The risk of crashing increasing with each additional teen passenger. Just having peers in the car can cause a teen driver to do more risky driving behaviors like speeding, driving erratically, and playing the music too loud. Having these distractions is even more significant during the first few months of having a license, especially since 59% of teen passenger deaths happen in cars driven by a peer. This information is helpful in guiding driving curriculums, but that isn’t enough. Teens require driving independently to get the experience needed to feel comfortable behind the wheel of a car. 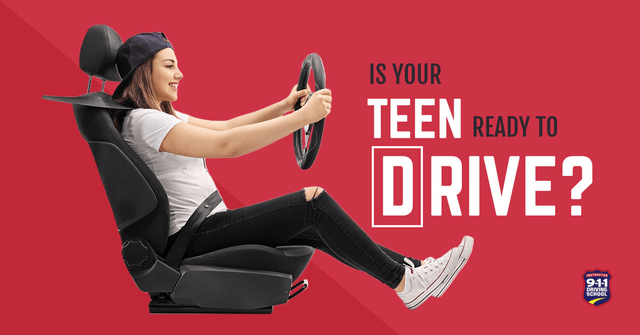 Data shows that new teen drivers need between 1,000 and 1,500 miles of independent driving before their risk of getting in a crash drops significantly. In Illinois, drivers are limited to one passenger under the age of 20 until they have had their driver’s license for a year or they turn 18, whichever comes first. There are exceptions to this law, including driving a sibling, step-sibling, child or stepchild of the driver. This is an example of graduated licensing laws. These grant privileges in stages, like limiting passengers and restricting nighttime driving. Every state has these in some form in the United States and it all started back in the mid-1990s. These licensing laws have been shown to substantially lower fatal crash rates in teenagers, according to the Insurance Institute for Highway Safety Highway Loss Data Institute. Parents have a lot of influence in limiting distractions too. Make sure you stress and model the importance of driving safely, always. Whether you live in a state where these limitations apply, it is helpful if parents step in to encourage and enforce the rules. While you cannot control your child and the choices they make, you can set clear boundaries of expectations and talk to them more about making smart choices. Following up with questions of who was in the car and asking about distractions is also a great way to help keep your teen driver accountable. Most adults remember the feeling of being able to drive friends around the first time. It is a lot of fun and comes with an increased level of independence, but it should be done safely. When teens understand the importance of limiting distractions, they can do better at keeping focused and reminding their friends to do the same. Teaching your teenager to drive starts long before you hand them the keys to the car. Even if you don’t feel like they still follow you around, watching your every move, they still do. Setting a good example for being a responsible, safe driver is vital to their success on the road. Here are some ways you can make your child a great driver. Make sure you are calm and ready to drive before you get behind the wheel. Don’t drive when you are stressed, angry, or distracted. Feeling this way prohibits you from maneuvering your vehicle in a calm and careful way. If you aren’t calm, you are more likely to experience road rage or show impatience and not follow all the laws. When you are calm and focused, you can talk effectively to your teen about the things you see on the road. If you are impaired in any way, don’t drive. This includes situations where you have been drinking, doing drugs, taking medications, or are overly tired. Point out to your teen that you are not fit to drive and teach them alternate ways to get home, if necessary, like calling a friend or a driving service to pick you up. It is never too early to stress the importance of safe driving. Make sure you always wear your seatbelt. Don’t ever pull out of your driveway until you have checked that all your passengers are buckled up too. This teaches your children that safety is a priority in your car and you expect them to follow the rules. As you are out on the road, say out loud the safe practices you are doing. Follow the laws, including driving under the speed limit. If you notice people driving incorrectly around you, point out what they did wrong and teach what they should have done. Talking to your teen about it will help bring things to their attention. Don’t get upset if someone cuts you off or does something aggressive toward you. Set the example and show how your teen how you would like them to respond if they were in your position. Another way you can follow the law and make a big difference is by not using your cellphone while you drive. Your kids are all watching when you use it, even if you think they aren’t. Pull out of traffic and onto the side of the road if you need to use your phone. Handing it to them to read or respond to messages helps teach them you take this rule seriously. Don’t make exceptions for yourself or teach them that you can get away with it. As a parent, it can be hard to hear your child correct you. When your child points out that you are doing something wrong, like driving too fast, forgetting your seatbelt, or using your phone while driving, don’t brush it off. Remember, this means that they are paying attention to what you are trying to teach them. Thank them for noticing and immediately try to do better. 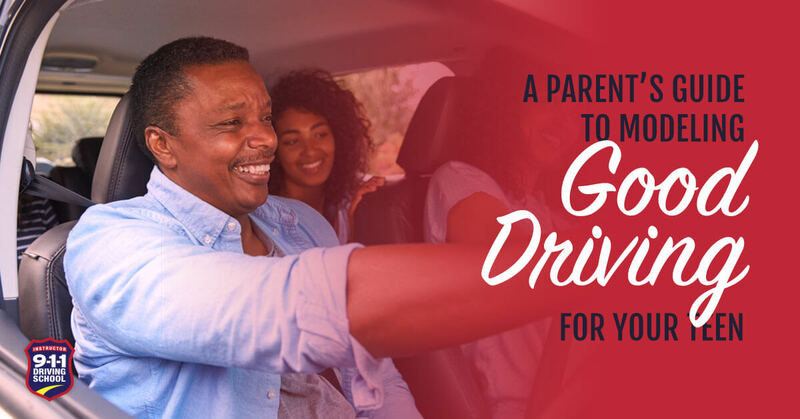 By setting a good example for your future driver, you are helping them see good driving in action and that is the best way to learn.